After the Railroad station helped establish a thriving business district, houses started springing up around Wake Forest College. Many of them, built for local businessmen and professors, covered several blocks extending north from campus. The street soon became known as Faculty Avenue. Originally a tree-lined, dead-end street partially bordered on the east by the college athletic field, Faculty Avenue became busier in the 1920s when construction crews incorporated it into the east coast’s first interstate highway, U.S. 1. Travelers from Maine to Miami were soon passing through town, along with military convoys transporting trucks filled with soldiers during the years of World War II. But when the college left for Winston-Salem, Faculty Avenue lost its original identity. The professors were gone. The Wake Forest Garden Club moved the Calvin Jones House from its location on campus to the former athletic field for preservation. New families moved into the stately homes. The street became North Main. 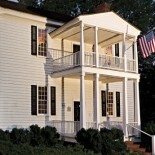 Today, North Main Street is part of the Wake Forest Historic District and home to the Wake Forest Historical Museum. 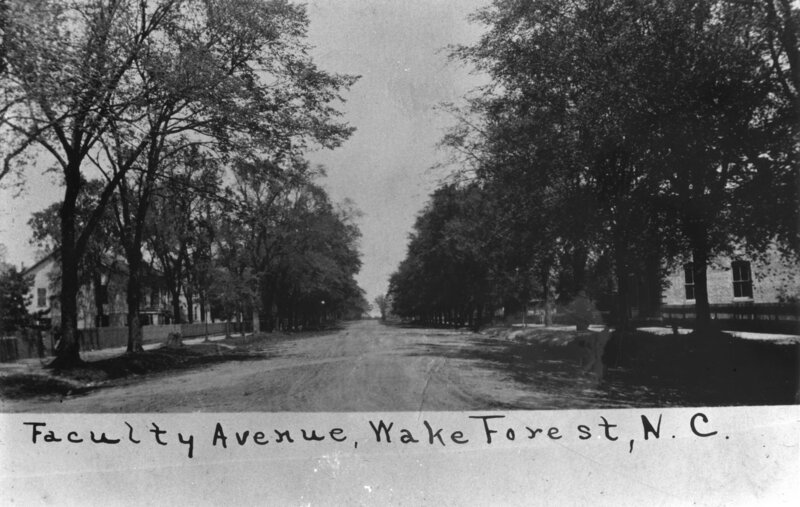 This entry was posted on July 24, 2013 by wakeforestmuseum in North Main Street and tagged North Main Street, Wake Forest, Wake Forest College.